This level has medium difficulty and you need to use good trick to complete this level. 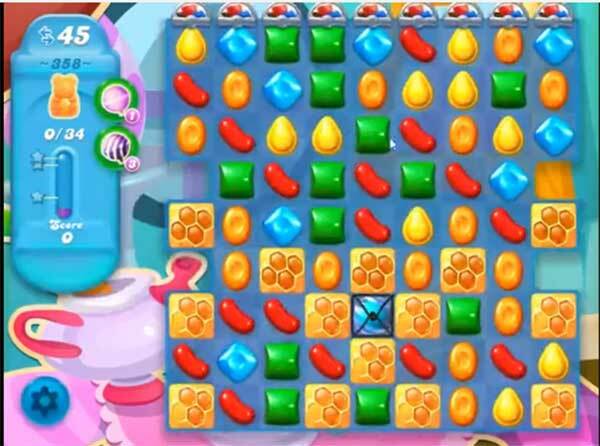 For this level you should try to play here you have more candies to make special candy. Combine special candies to each other to break more honey blockers to save the bears. Use striped candy combo like combine striped candy with colorbomb or wrapped candy to break more honey blockers to save the bears. I have been getting all good combos (bombs) and playing for about 2 months. The bears have too many coats of honey. This is not fun anymore.